Don’t get me wrong, visiting Ephesus was incredible. 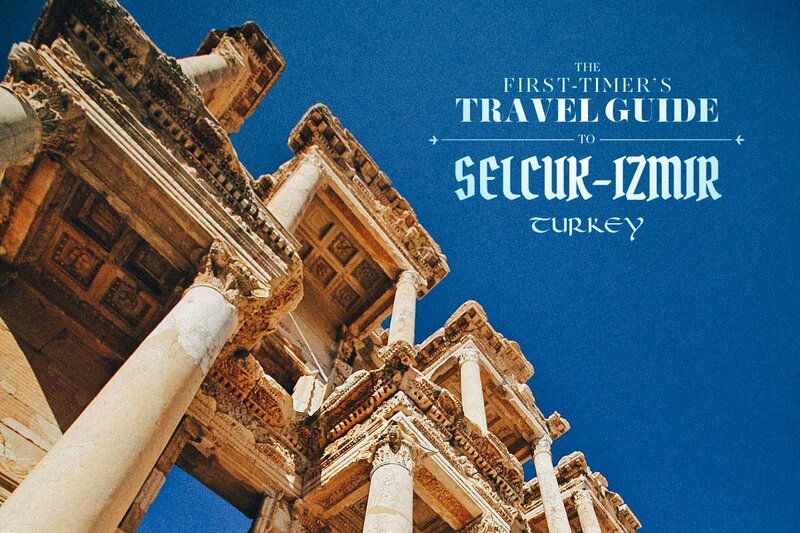 The thought of standing in what was once the ancient world’s most important center of trade and commerce was mind-blowing. But let’s be honest about one thing. Today, much of it is just a big pile of rocks. I’m sorry, but it’s true. In all seriousness, it’s amazing that anything is even still here, considering that this ancient city is over 3,000 years old. 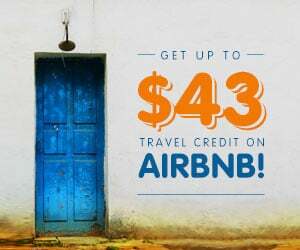 On top of that, it receives over 2 million visitors annually. Speeding up the process of erosion and decay, that’s 2 million tourists touching and sitting and leaving their grimy buttmarks on Epehsus marble every year. Hey, they don’t call it “ruins” for nothing. I have a good imagination but it was hard for me to see the Ephesus of old, not with all those selfie-taking tourists disrupting my view. With no body of water in sight and little more than a pile of rocks to inspire fantasy, it was hard to imagine it as the thriving seaport it once was. 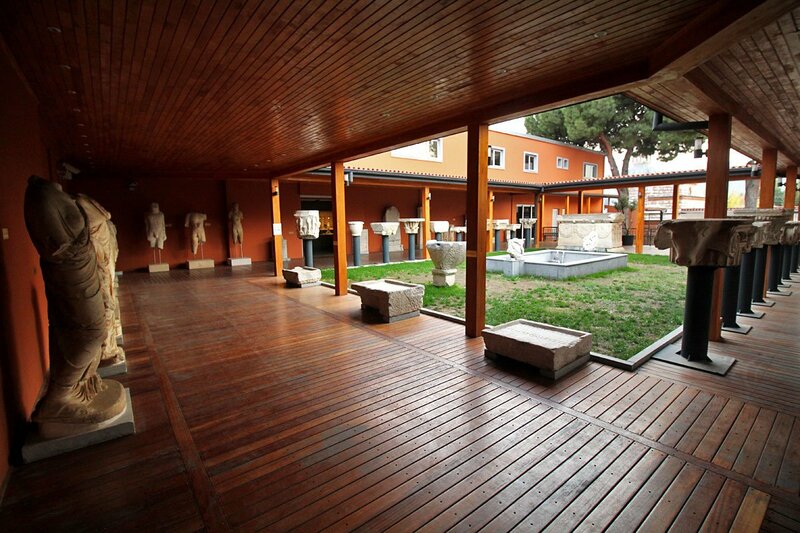 Which is why I think a visit to the Ephesus Archaeological Museum in Selçuk is a must. 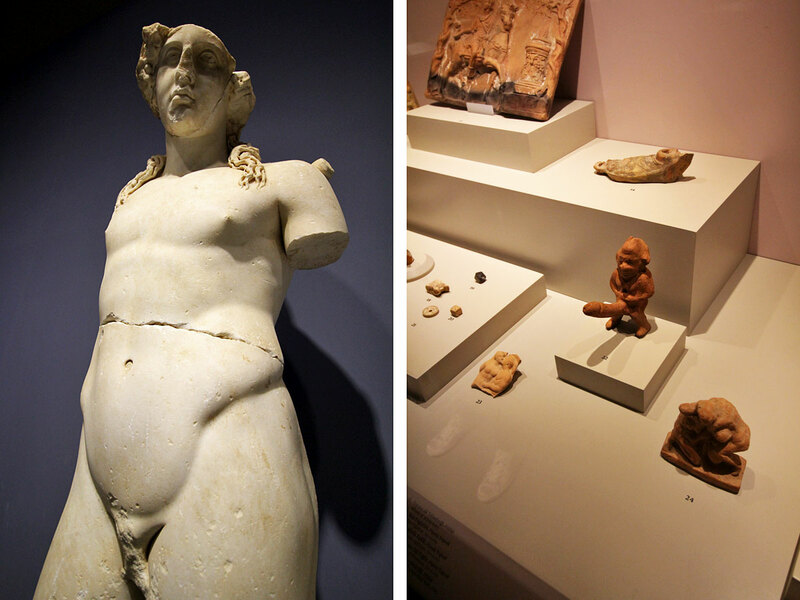 Its collection of well-preserved artifacts — many dating back to the city’s most glorious Hellenistic and Roman periods — helps put all that rubble into context. How lucky were we? As it turns out, the museum had been closed for several years for renovation before opening again to the public earlier this year. I googled pictures of the old museum and this newly renovated version is much more modern. 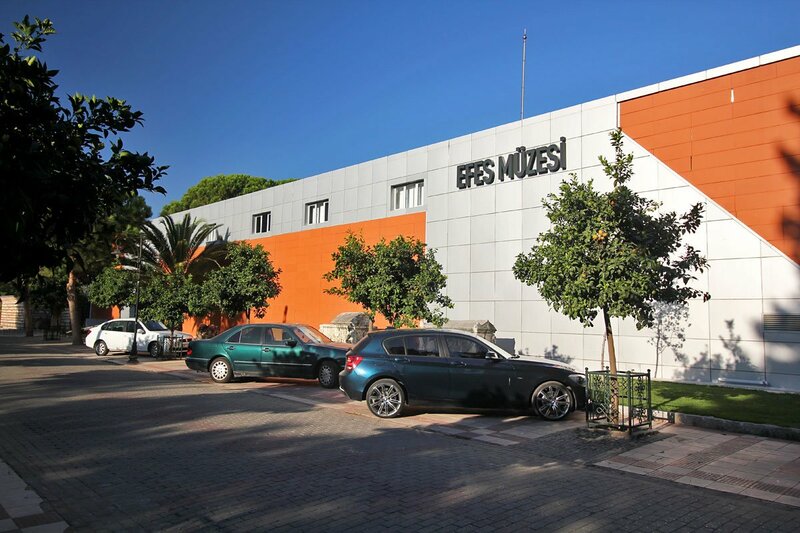 Entrance is 10TL. I didn’t notice this at the time but the exhibits are organized into eight rooms and one large courtyard. 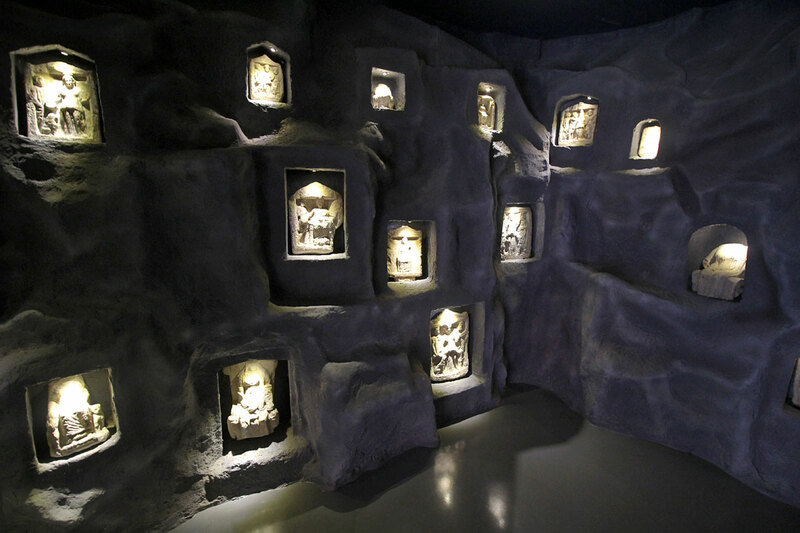 Visited in sequence, this is how I believe the exhibits were arranged. Please correct me if I’m wrong. 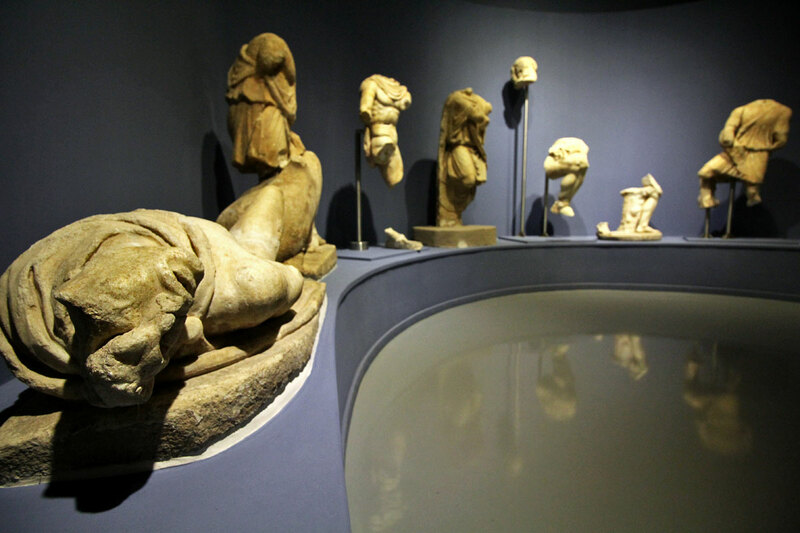 I think these sculptures are from the Fountains of Pollio and Trajan. 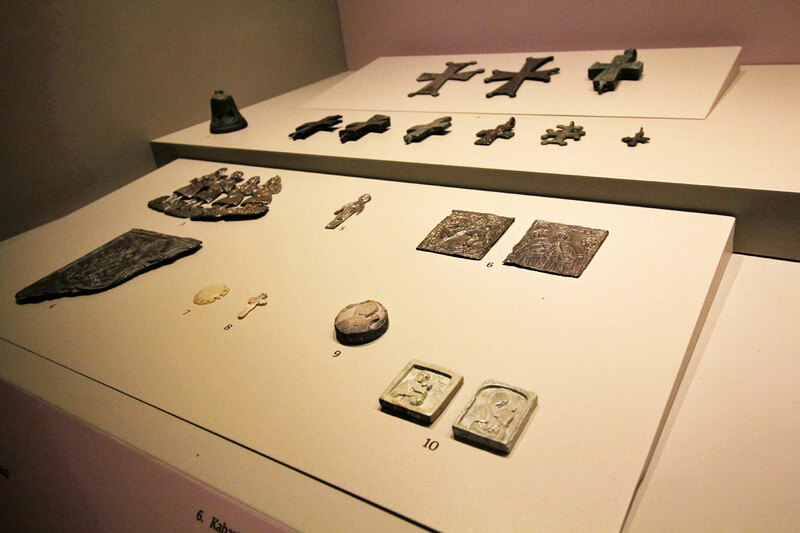 A majority of the pieces are in fragments like this, which is to be expected considering that many date back to before the time of Christ. Pretty incredible if you think about it. “My nose, my nose, my kingdom for a nose!” Ever wonder why many of these ancient sculptures have their noses broken off? Conspiracy theories aside, it has mostly to do with placement. Noses are higher up and stick out, making them more susceptible to erosion and getting knocked off. R: This statue of Aphrodite dates back to the 1st century BC. Considering how old it is, I think it’s in pretty damn good shape. Wow. Love the six-pack. 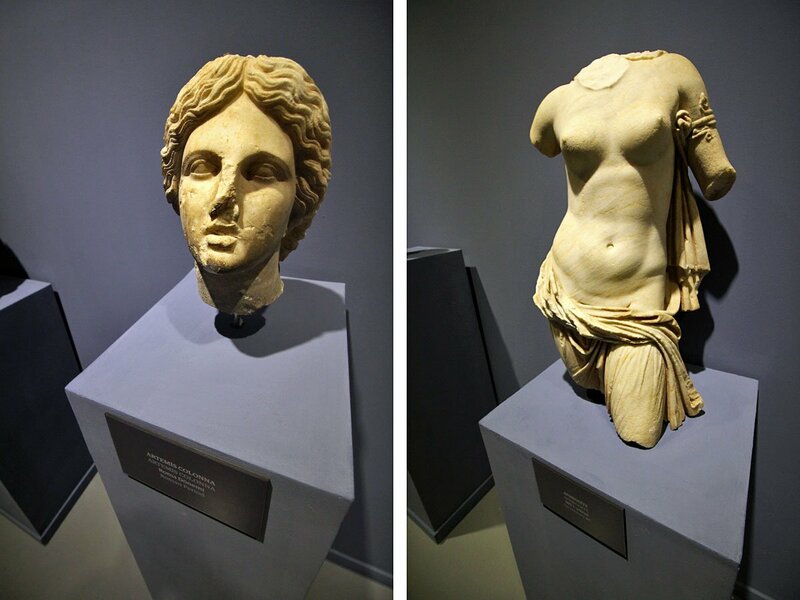 These sculptures are from the Ephesus Terrace Houses, also known as “the houses of the rich.” Almost immaculate in their preservation, can you imagine these in their proper context at Ephesus? 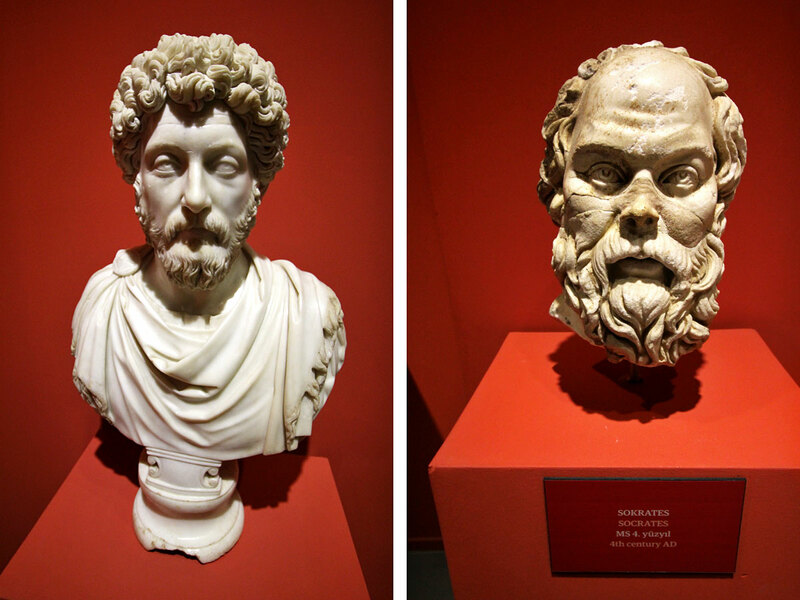 L: Bust of Marcus Aurelius, the TRUE emperor! I’m a fan of the movie Gladiator so I was pumped to see this. It looks almost perfect! R: “True knowledge exists in knowing that you know nothing.” Like Jon Snow, you know nothing Socrates. Ethnographic exhibits. 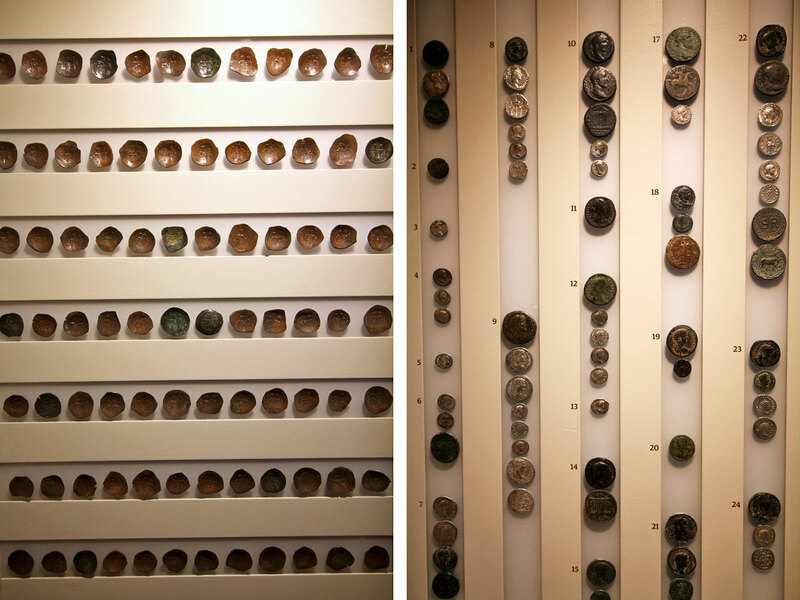 These displays give you a better idea of how people lived at the time. Large courtyard displaying full-size sculptures and sections of columns. 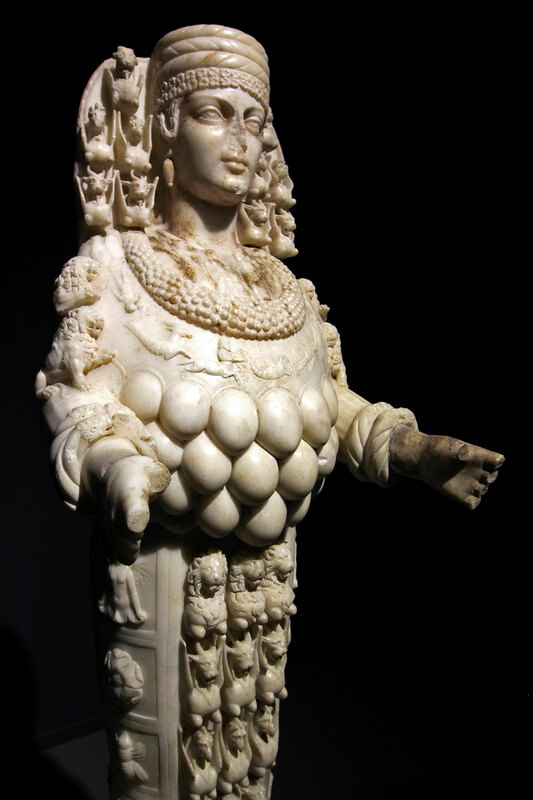 Carvings depicting Cybele, the Anatolian mother goddess. 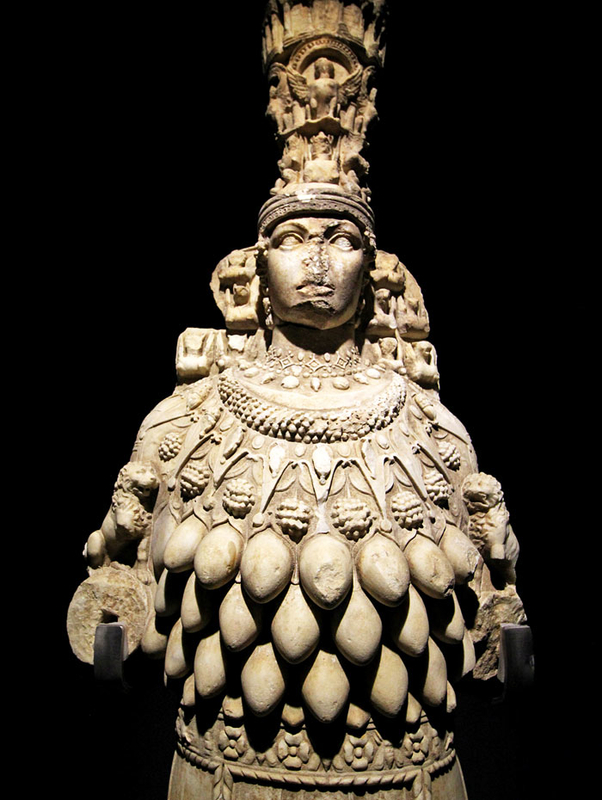 An important deity, she was the only known goddess of Phrygia, a kingdom in west central Anatolia now known as modern Turkey. 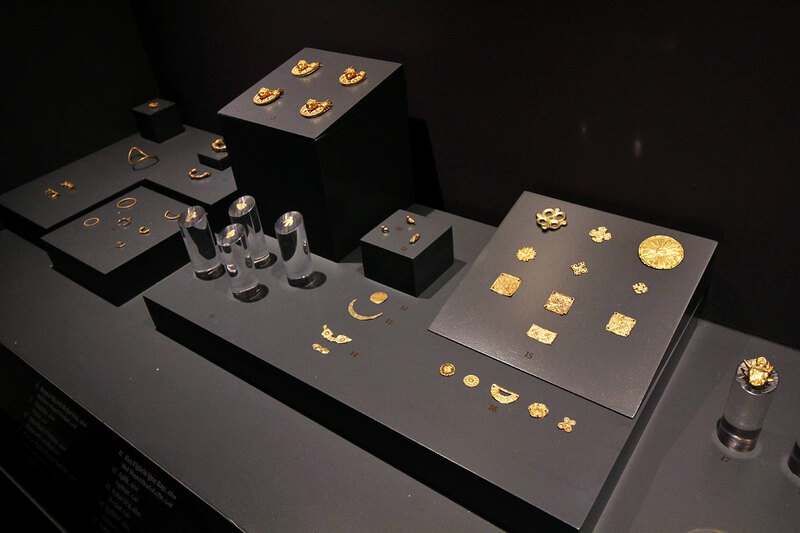 Excavated from one of the seven wonders of the ancient world. 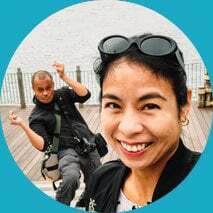 Priceless indeed! 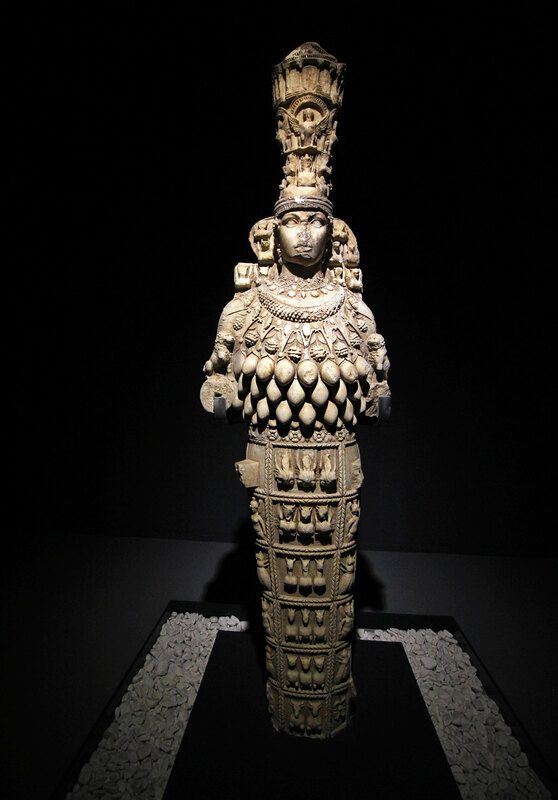 Without a doubt, these statues of Artemis — the great mother goddess who was practically a rockstar in the ancient world — are the most spectacular exhibits in this museum. The goddess of the wilderness and fertility, Artemis was the daughter of Leto and Zeus and the twin sister of Apollo. Artemis’ most distinguishing characteristics are the spherical, egg-like objects that cover the lower part of her chest. Often mistaken for breasts (guilty as charged! ), they more likely represent the testicles of a bull or gourds, which were known fertility symbols in Asia. Another fascinating aspect is Artemis’ robe. Intricately detailed, it’s decorated with lions, leopards, goats, griffins, and bulls to represent her title as Lady of the Animals. 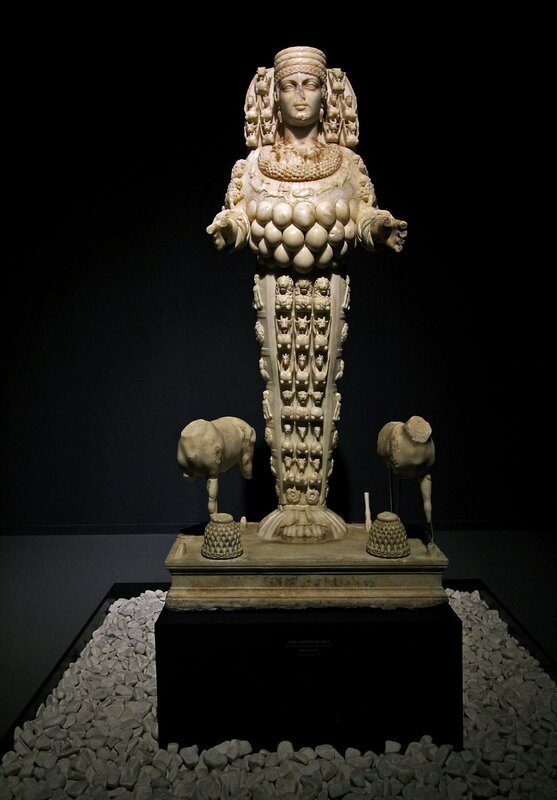 The second of two Artemis statues. They face each other illuminated in a long dark rom, adding to the drama. 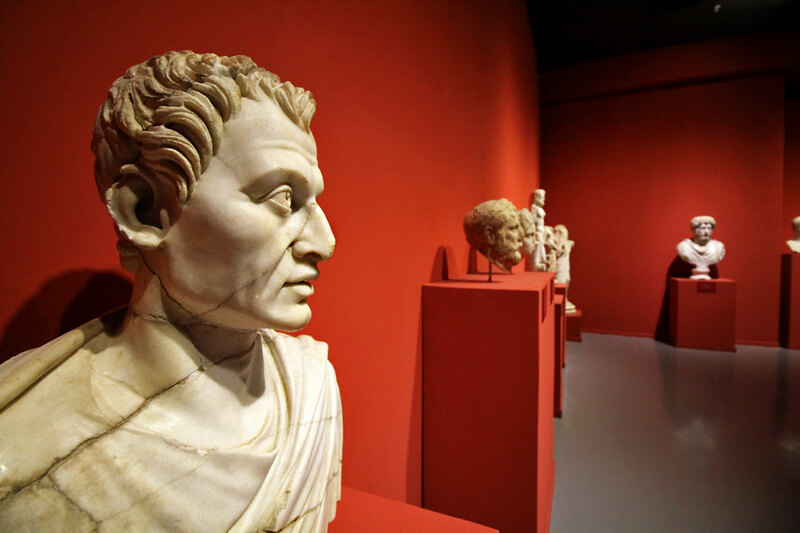 Despite the lopped off noses and hands, these life-size statues are remarkably preserved and stunning to look at. 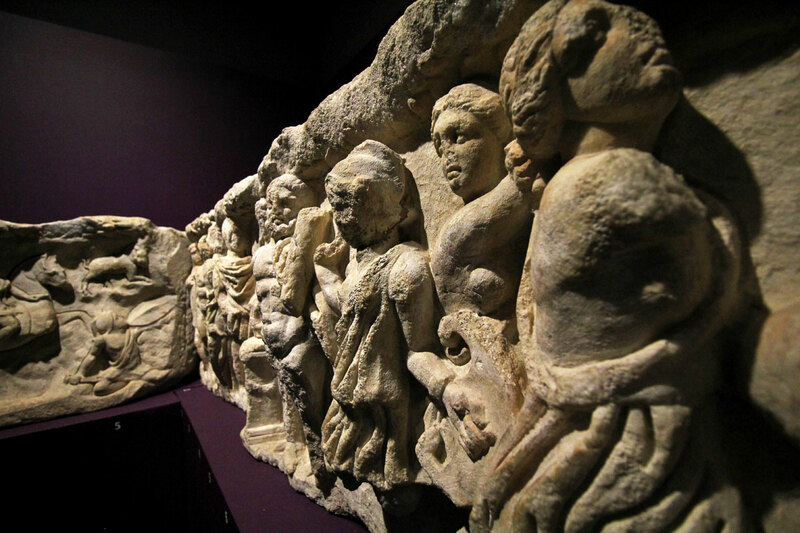 Pieces from temples built to deify Rome and its emperors. 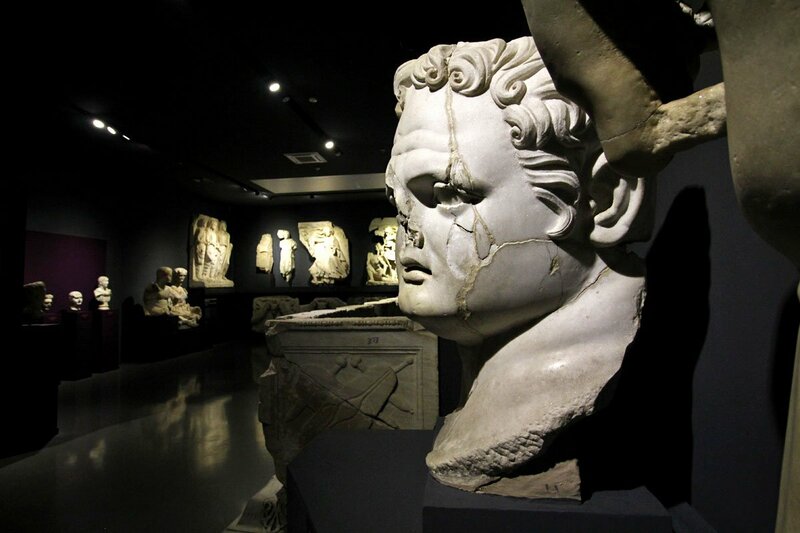 Pictured below is a gigantic bust of Domitian, the emperor of Rome from 81 to 96 AD. The head alone was almost as tall as me! Not sure what these were. Maybe details of a sarcophagus? 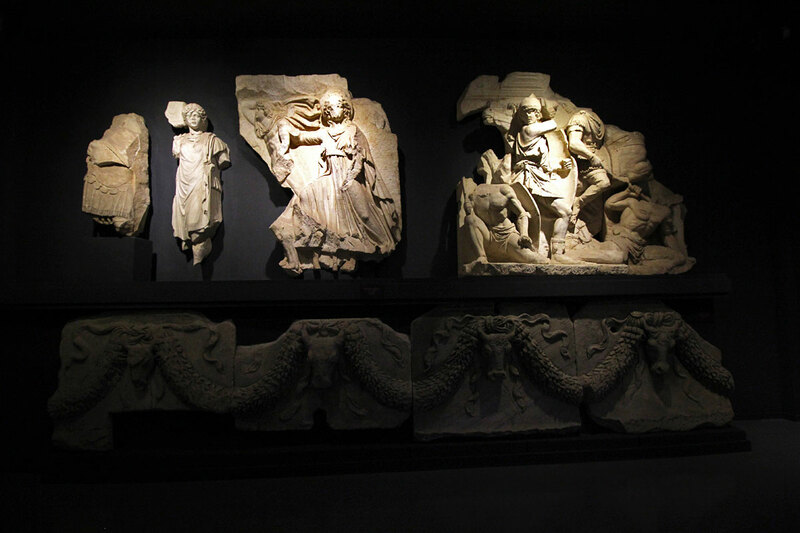 Beautifully lit, I think these may have been remnants of sarcophagi as well. 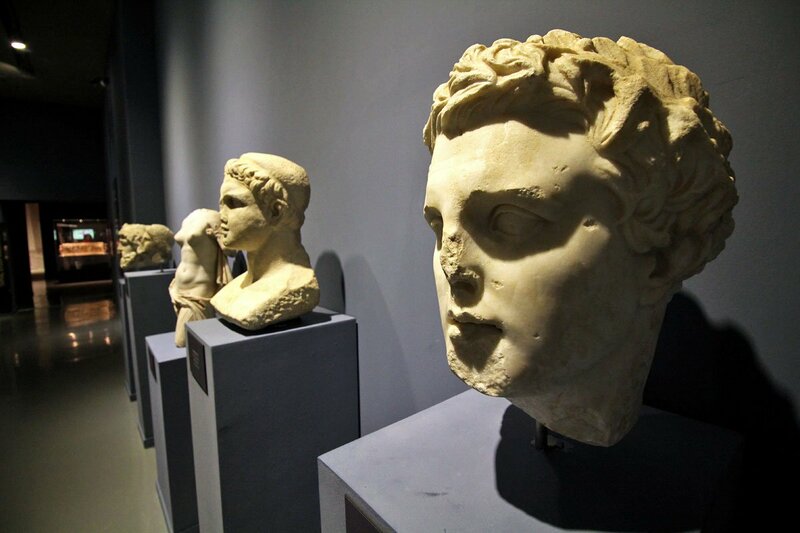 Many blogs will recommend that you visit the museum after a trip to Ephesus. I think the opposite is better. 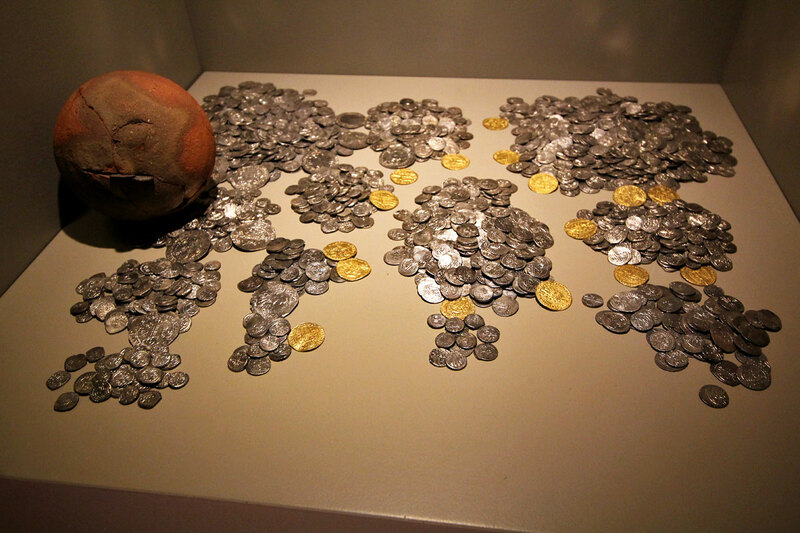 If you can, I suggest paying a visit to the museum first before exploring the archaeological site. 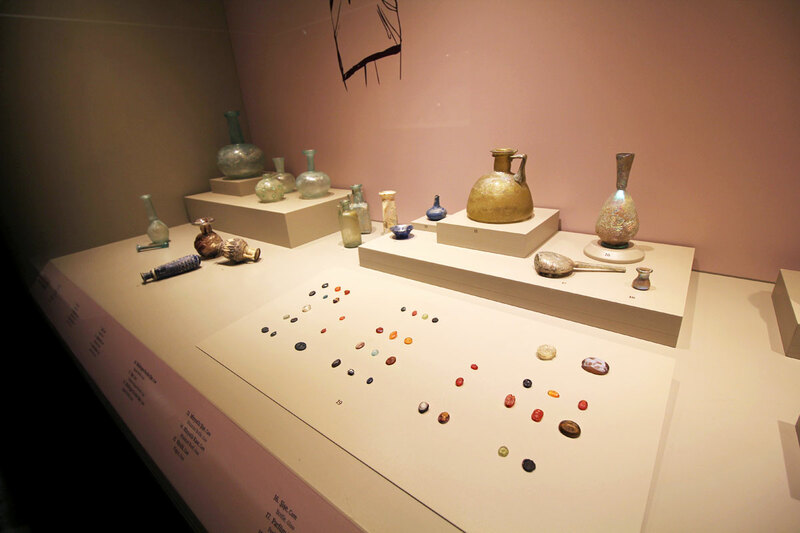 Because if you’ve already seen these well-preserved relics, it’ll be easier to picture the ancient city as the thriving commercial center it once was. Intact and replete with beauty. 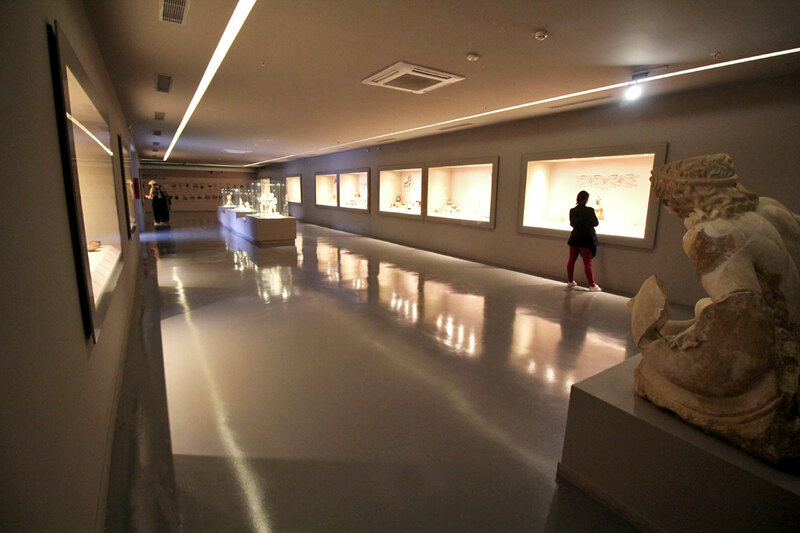 The museum is located near the Selçuk otogar (bus station). It’s best to ask anyone if you’re unsure where it is.